Figure 1. 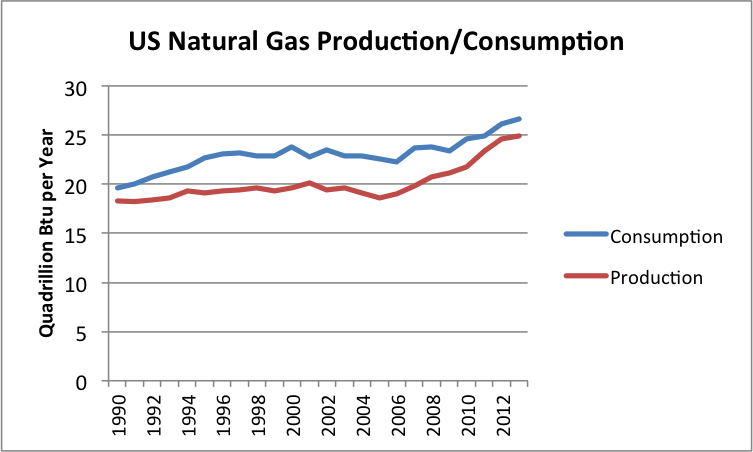 US natural gas production and consumption, based on EIA data. Figure 2. 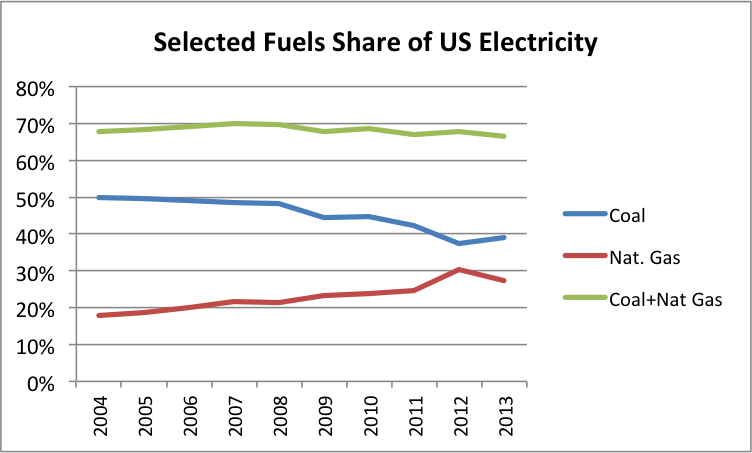 Selected Fuels Share of US Electricity Production – Coal, Natural Gas, and the sum of Coal plus Natural Gas, based on EIA data. Figure 3. 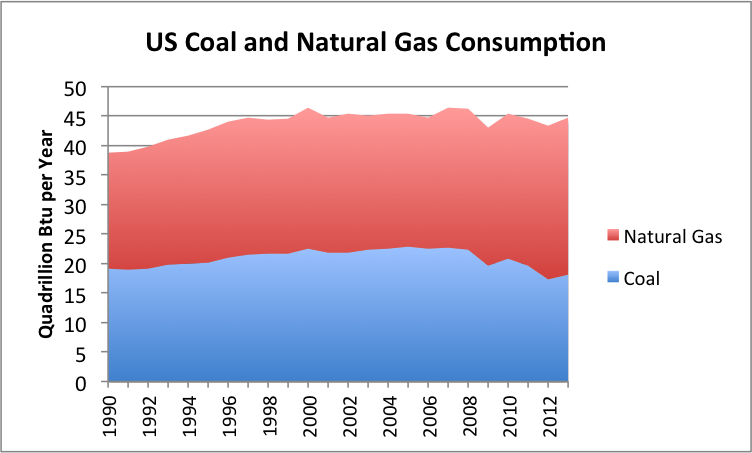 Layered US consumption of coal and natural gas, based on EIA data. Figure 4. 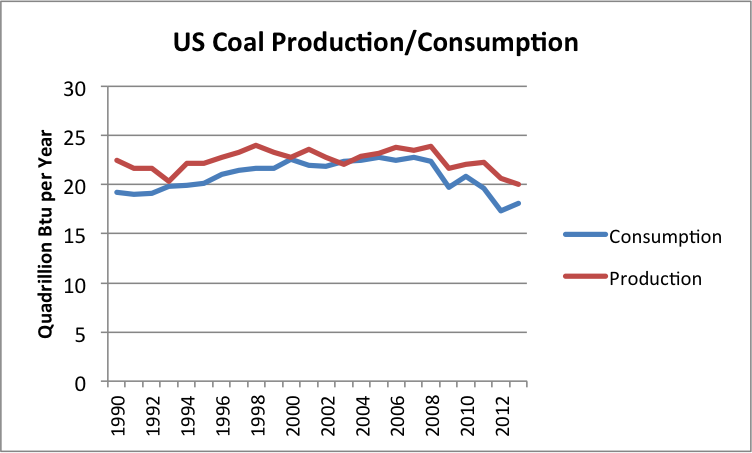 US coal production and consumption based on EIA data. Figure 5. 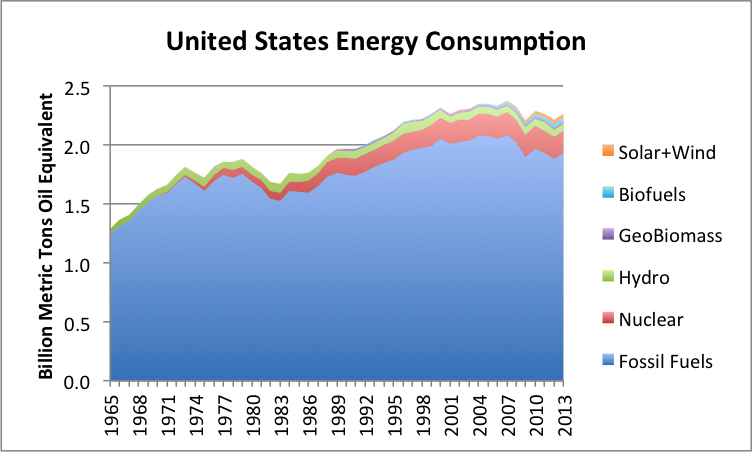 US Energy Consumption, showing the various fossil fuel extenders separately from fossil fuels, based on BP data. Figure 6. 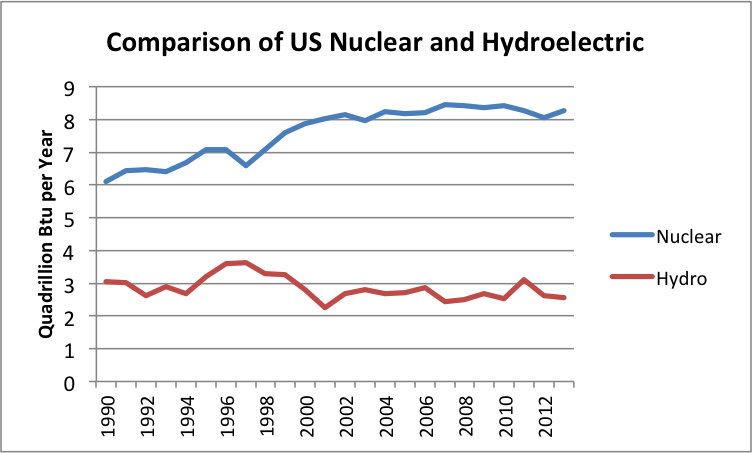 Comparison of US nuclear and hydroelectric consumption, based on EIA data. Figure 7. 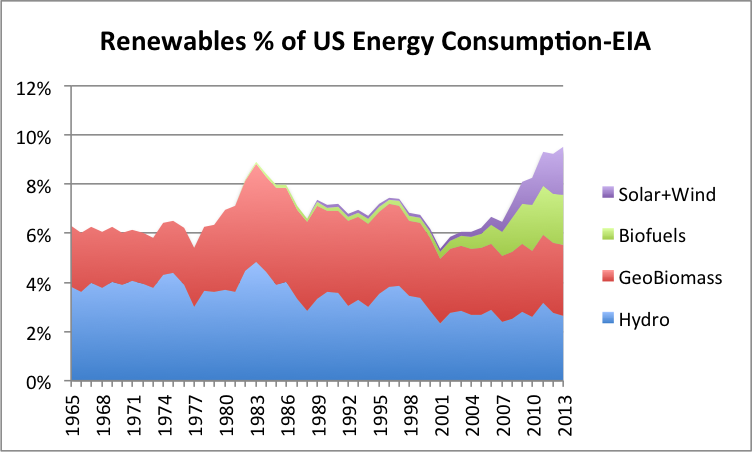 Renewables are percentage of US energy consumption, using EIA data (but groupings used by BP). Figure 8. 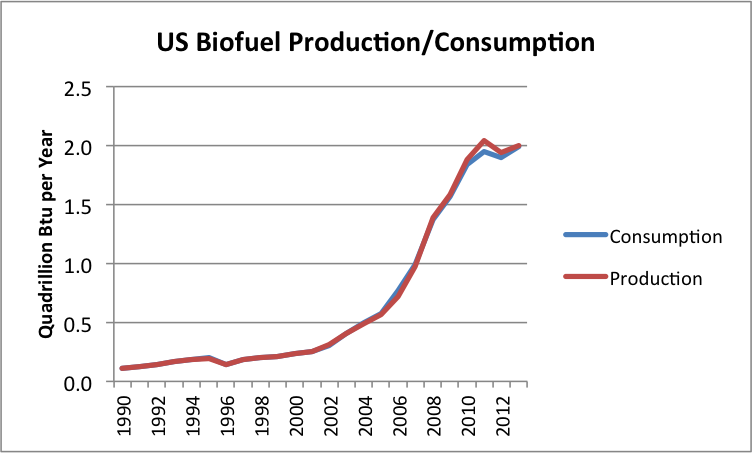 US biofuel production and consumption, based on EIA data. Figure 9. 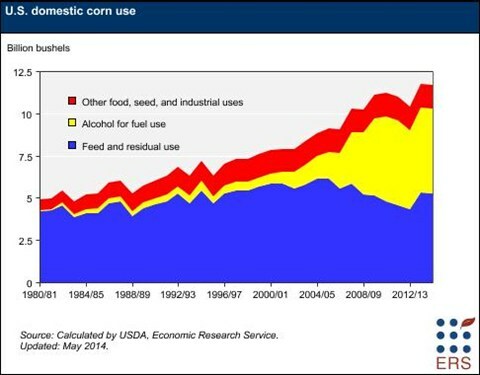 USDA corn use, from USDA site. 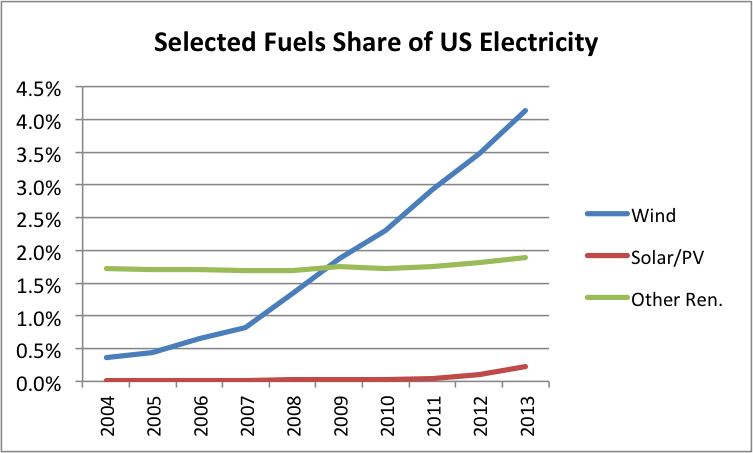 Figure 10: Hydroelectric, other renewables, and nuclear as a percentage of US electricity supply, based on EIA data. Figure 11. 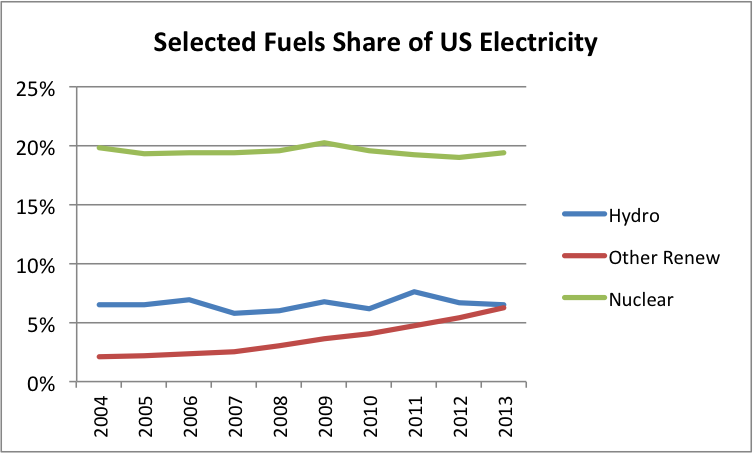 Wind, solar/PV and other renewables as a percentage of US electricity, based on EIA data. I have used BP’s GeoBiomass grouping for convenience, but I am adding together EIA data amounts. What is included in the “biomass” portion of GeoBiomass seems to vary from agency to agency (BP, EIA, IEA), because of different definitions of what is included. For example, is animal dung burned as fuel included? Is fuel that is gathered by a family, rather than purchased, included? I am using EIA data for US renewables in Figure 7, since its long-term data series is probably as good as any for the US. This entry was posted in Alternatives to Oil and tagged biofuel, coal, geothermal, natural gas, nuclear, renewables, solar PV, wind energy. Bookmark the permalink.